Working with individuals with Personality Disorders has long been identified as one of the most challenging areas of practice. 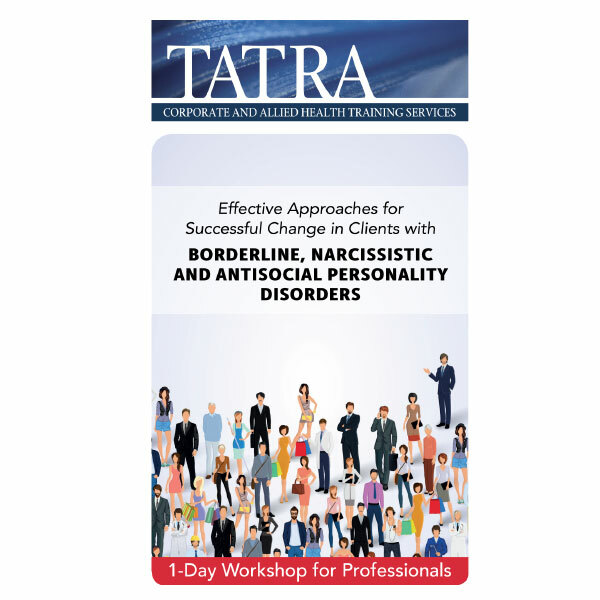 This seminar will present cutting-edge information on Personality Disorders, along with the most current, effective, and powerful methods for treating and managing three challenging Personality Disorders: Borderline, Narcissistic and Antisocial. Despite having familiarity with some specific aspects or models of understanding or treating personality disorders, most professionals find personality disorders to be the most confusing, frustrating, and difficult of all mental health conditions. Fortunately, there have been recent advances in our understanding of personality disorders that offer professionals new, powerful, and highly effective methods for treating and managing these conditions in nearly any mental health, health care, or social service setting. Identify and manage critical factors associated with the stage of treatment for clients with narcissistic and borderline pathology. Manage borderline and narcissistic pathological expression that disrupts the course of treatment. Identify and counter maladaptive patterns that often disrupt your clients’ lives and thwart successful treatment. Learn how to implement techniques to address adverse individual and couple patterns and pathology. Apply evidence-based treatment modalities in your practice and produce therapeutic change. Learn how to implement techniques to address surface and core maladaptive patterns in your clients. Implement perpetuation of success strategies for your clients.